Friday, March 10 at the Audubon Center in Winter Haven, fourteen Science, Technology, Engineering, ARTS and Math (STEAM) scholars from Chain of Lakes Collegiate High School (COL) presented hands-on STEM activities to support the “Amphibians, Reptiles and Birds, Oh MY!” project at Chain of Lakes Elementary school. The collaboration was envisioned by Chain of Lakes Principal, Bridget Fetter, COL STEM Coordinator, Dr. Suzanne Halverson and Polk County schools educator, Jessica Fredricks. Shortly thereafter, the group began to formulate the educational pathway for both student groups, which included teaching moments where COL students would provide hands-on learning opportunities for the first grade students. Propelling the program was a $2,000 AT&T STEM @ Work grant, provided to Chain of Lakes Elementary through the Polk Education Foundation and the Consortium of Florida Education Foundations. This competitive grant was awarded to only two schools in Polk County. In addition, Polk State Chain of Lakes Collegiate High School also received monies from the Polk Education Foundation for STEAM activities and will host six elementary workshops in April and May. 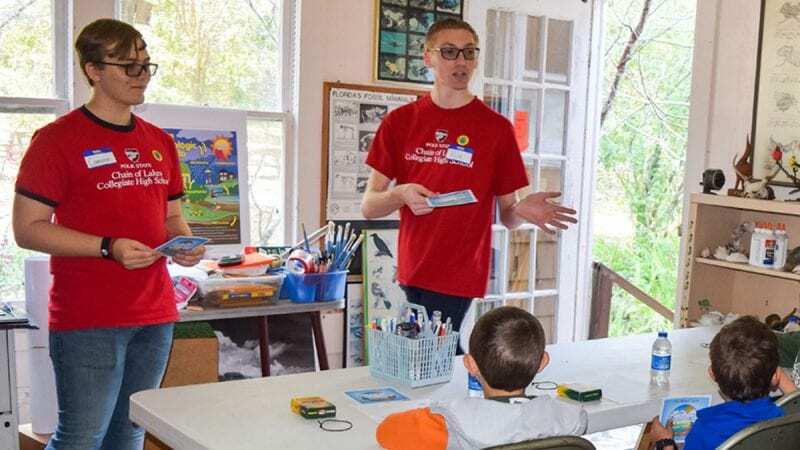 “The importance of this partnership with Chain of Lakes Collegiate High School STEAM scholars and Chain of Lakes Elementary School was an opportunity for STEAM scholars to mentor elementary school-aged students with innovative teaching practices (i.e. hands-on learning activities and movement activities) through the integration of Science, Technology, Engineering, Arts, and Math,” said Halverson. COL students spent several weeks preparing their topics of discovery. The students were divided into six groups and each group selected a topic which they wanted to “teach” to the students including: Microplastics, Birds, Trees and Plant Life, The Water Cycle, Animal Movements, and Underwater Robotics. The STEAM students then created full lesson plans incorporating games, colorful bulletin boards, movements, and exhibits to engage the students in a deeper, more intentional learning experience. Halverson commented, “The student interaction was incredible.” She continued, “It was a unique opportunity to observe the relationship between the STEAM scholars and elementary school-aged students at each STEAM rotation. At each STEAM rotation, students of all ages were engaged through STEAM activities, excited about STEAM topics, and ready to learn the adventure for the students is not yet complete. On April 21, the elementary students will journey to Chain of Lakes Collegiate High School to dissect owl pellets and engineer animal robots. 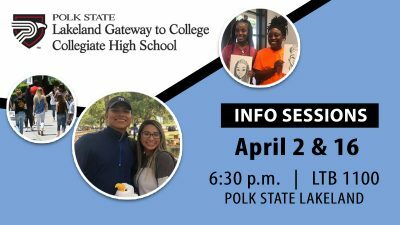 To learn more about Polk State’s three collegiate high schools, please visit: https://www.polk.edu/charter-high-schools/. To see more photos from the event, please visit the photo gallery at https://www.polk.edu/news/amphibians-reptiles-birds-oh/.